Not so guilty secret pleasure: observing and drawing the characters and citizens in different cities and neighborhoods. 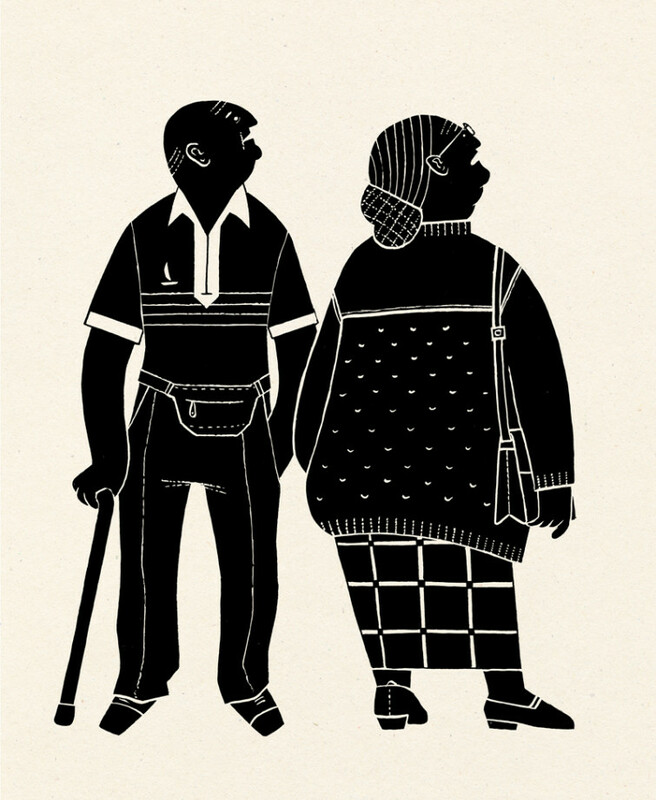 I drew the elderly couple while they were taking in the drinks menu at a upcycled hipster watering hole. 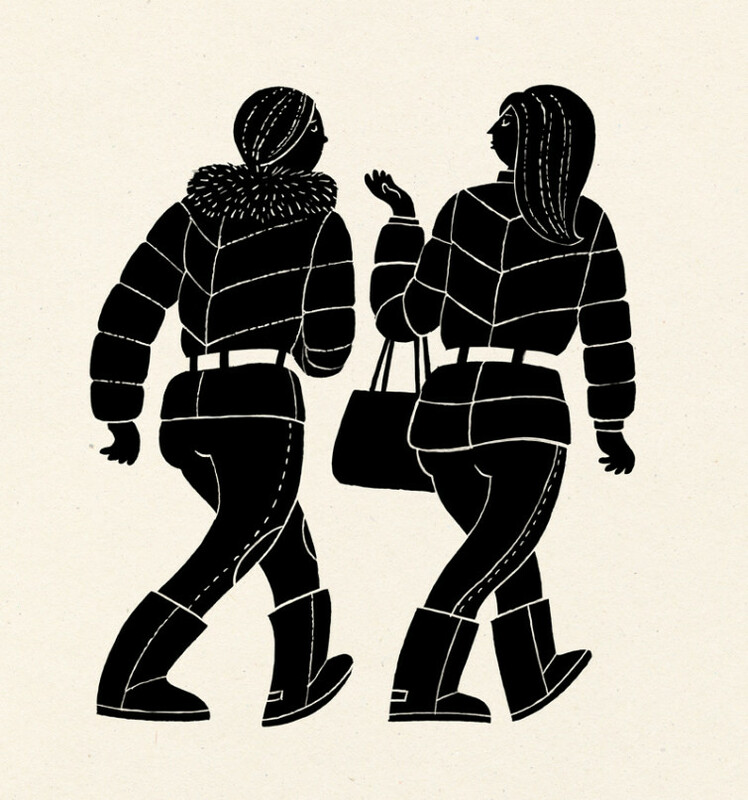 The fur collared puffa coated girlfriends were observed in my own neighbourhood.